As tax season fires up, many seniors are unsure of where to turn for help when it comes to filing their taxes. While younger individuals may take to the internet and the help of an online tax program, many seniors are leery of using technology to assist in something so personal as taxes, and more importantly, the cost of paying someone to prepare their taxes may simply not be in the budget for seniors already living on a fixed income. 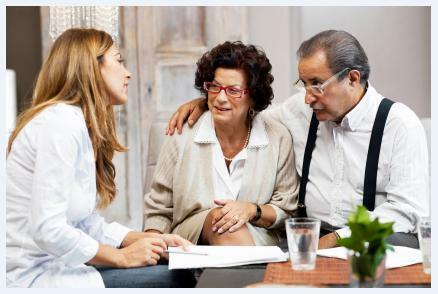 Realizing the additional financial and mental stress that a looming tax deadline can place on seniors, organizations across the country are offering free tax assistance to seniors. The AARP runs a nation-wide program using trained, experienced volunteers that is accessible to low-income seniors. Locations for the service can be located at aarp.org. However, if AARP tax services are not offered near you, a variety of other programs, including some local Offices on Aging are also offering services. To find what’s available in your area, contact your local Department of Aging or senior center. After a location has been found to help seniors file taxes, getting to that point can be a chore. However, homecare services may offer just the help that some seniors need to get geared up for tax season. For example, if transportation is an issue, home care shifts scheduled via a homecare software or homecare system, such as ClearCare, can ensure that a caregiver is available to get seniors to and from those important tax appointments. Likewise, notes tagged to a shift within a homecare software or homecare system can help caregivers remind seniors to gather important documents to take with them to tax preparation meetings. With the help of a homecare software or homecare system, caregivers can work with clients to provide reminders that may otherwise go overlooked – and help make sure that senior taxes get done right, the first time around. Homecare can also be a great tax time helper for family caregivers who need some extra time to focus on getting their financials in order. With the assistance of a homecare agency utilizing ClearCare’s homecare software or homecare system for scheduling, loved ones can quickly be matched to a caregiver for some extra companionship time while their family caregiver is focused on their tax returns, freeing up time for tax appointments, preparation and filing. As they say, with death and taxes as the only things that are sure in life, having an extra hand from a homecare agency that utilizes the power of ClearCare’s homecare software to manage their operations can at least make the taxes a little easier to deal with.